Are you planning a special event or business meeting? 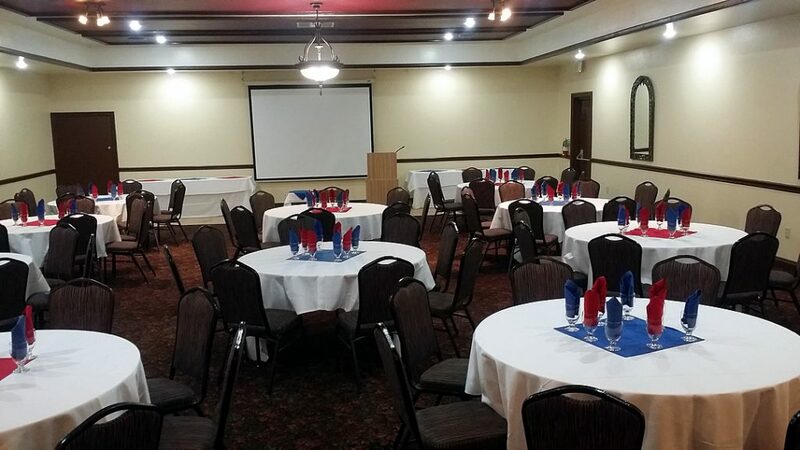 Hotel Rosedale has over 5,600 square feet of event space capable of hosting a variety of Meetings, Training classes and Seminars: Hosting people from 10 to 275. We offer audio and visual equipment, a variety of set up’s available to fit your needs. Give us a call or stop by; all walk-in’s are welcomed. Complete the form below or call our Catering and Sales Manager, Dustin at (661) 327-0681, Ext. 615, to arrange an appointment with our professional staff to view our recently renovated ballroom, event space, and menus.